Badges - where do they go?! 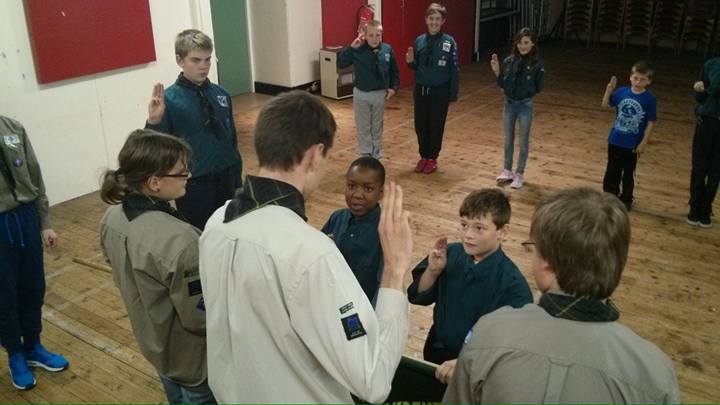 The 49th Newcastle Scout group has a very active Scout Troop (young people aged 10 to 14). This section was reintroduced at the 49th in late 2014 and is going from strength to strength. Each Scout Troop consists of small units of six to eight Scouts called a Patrol, usually led by a Patrol Leader. We currently have five patrols, the bulldogs, eagles, foxes, stags and tigers. Outdoor activities have featured prominently this year, with the highlight being the camping! Throughout the year, Scouts have learnt various skills, such as map reading, camp cooking and first aid in preparation for camp.